Video producer, RVer and host Mark Polk of RV Education 101 teaches new and experienced RVers how to use, maintain and accessorize their RV in this entertaining and information packed 30 minute television style online show called "Mark's RV Garage'. Video producer, RVer and host Mark Polk teaches new and experienced RVers how to use, maintain and accessorize their RV in this entertaining and information packed 30 minute television style online show. In each episode of Mark's RV Garage, there are segments on RV product reviews, RV product installations, EZ RV upgrades, Q & A, camping destinations, RV trivia and much more. The feature segment in each episode is a vintage trailer restoration project Polk is doing from start to finish. Polk said, “The viewer response is incredible; people especially like the vintage restoration project segment. Things started off a little slow, but as the word spreads views have steadily increased with each new show episode we release. Over the past eight weeks we have released four episodes, and between hosting the show on one of our sites, and on You Tube, we have had over 23,500 views to date collectively. Polk explained the current plans for the new show are to produce one season (8 to 10 episodes), and then take a short break while they film new episodes for season 2. We are the RV consumer advocates, Polk said. Folks in the RV industry build RVs and sell RVs, but I have always felt there was a huge lack of educating the RV consumer on how to properly use the RV after the consumer purchases it. 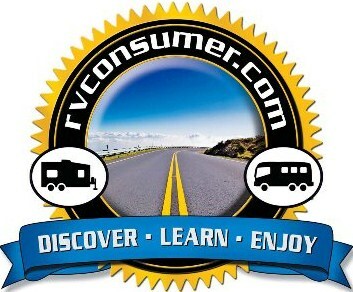 That’s what we do, we work very hard to educate the RV consumer. Mark's RV Garage ........... Internet TV Series RV ConsumerRV Consumer a one stop RV training site for RV the consumer training needs RV Education 101Professional series of RV how-to instruction training videos, DVD's, books and e-books on using and maintaining your Recreation Vehicle (RV).